Because it’s spring, cherry blossoms are blooming, avocados have been on point, naps have been doable, lady friends have been the best, lipstick choices have been nice and dark, daffodils are blooming, the clouds have been real Simpon-y, walks to dinner have been happening, late night hummus is what’s up, sprinkles on everything is real unnecessarily good, fries have been shared, cookies have been baked. So have a shortbread cookie in the morning instead of a coffee! Or with a coffee. 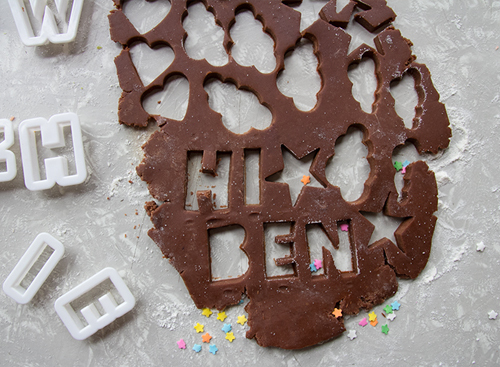 So beware (in a good way) these cookies are strong in a good way. In a tuff, workin’-out way. In a POW with flavor. In a hell yes way. 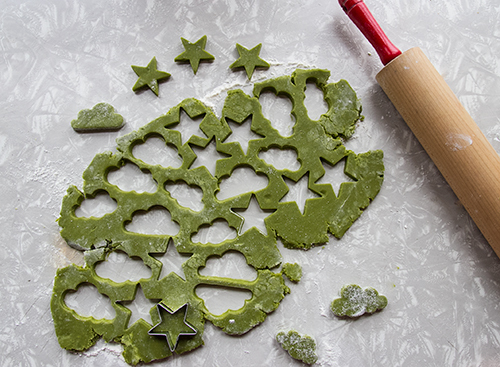 Whisk the confectioners’ sugar and either matcha, strawberries or cocoa together. Add butter and beat until smooth and combined. Add the salt and vanilla. Mix until combined. Pour onto a sheet of plastic wrap. Knead a bit, form into a ball, pat into a disc. Wrap completely in plastic and chill in the fridge for at least 30 minutes. Preheat oven to 350 and line a couple baking sheets with parchment paper. Roll dough until about 1/4-inch thick. 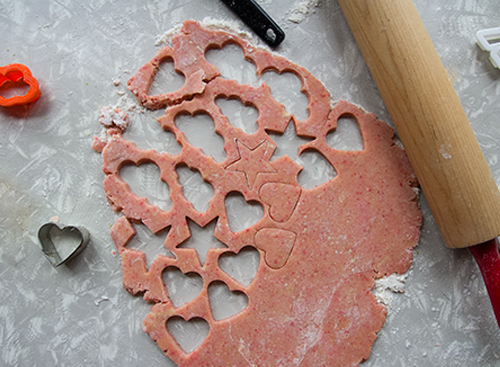 Cut out with a small 1-2 inch cookie cutter. Coat in granulated sugar. Bake for 10-15 minutes depending on cookie size. Cool completely and then place in an air tight container. Share with everyone you think is magic. 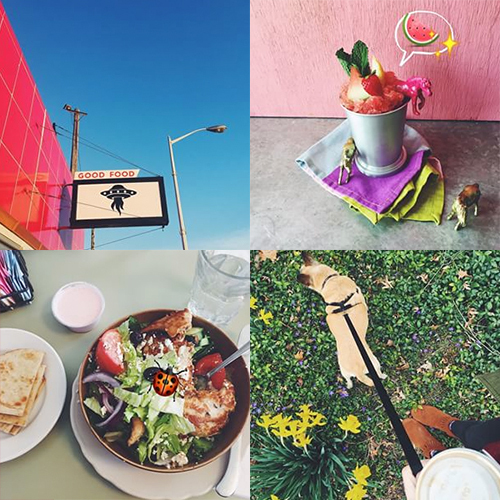 At least there are blue clouds, pink drinks, cute salads, and daffodils! These are so so lovely. 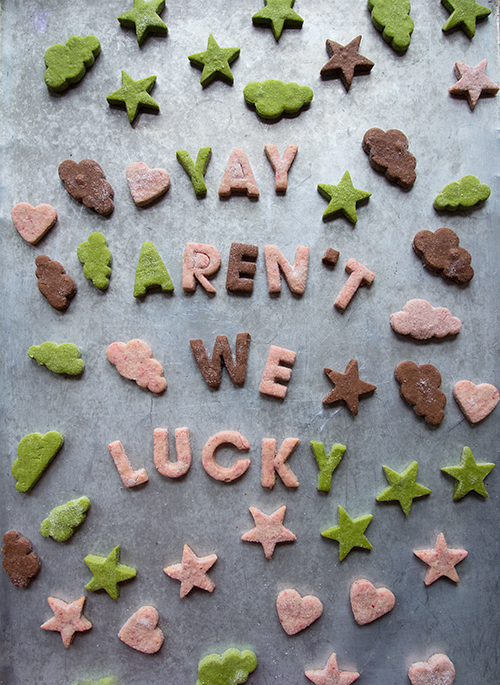 I love that you added colour to shortbreads and letters. Okay, I’m happy I’m not the only one who likes to indulge in a teensy bit of late night hummus. I’ve been cooking a lot with matcha lately but still haven’t dabbled in shortbread yet. Next on my to do list!